Protect your kayak from abrasion and scratches while in storage or being transported and from harmful UV light all year round. Helps protect your car from salt, sand and potential scratches from kayak fittings. Fully water repellant, mildew resistant, breathable and washable fabric with 4 well positioned handles making your kayak easy to manoeuvre and carry. The Packyak is a kayak cover designed to protect your kayak from the natural elements whilst it is not being used. It is made out of high quality Urethane Coated, Marine Grade, 600 Denier Polyester and has 4 integral carry handles. 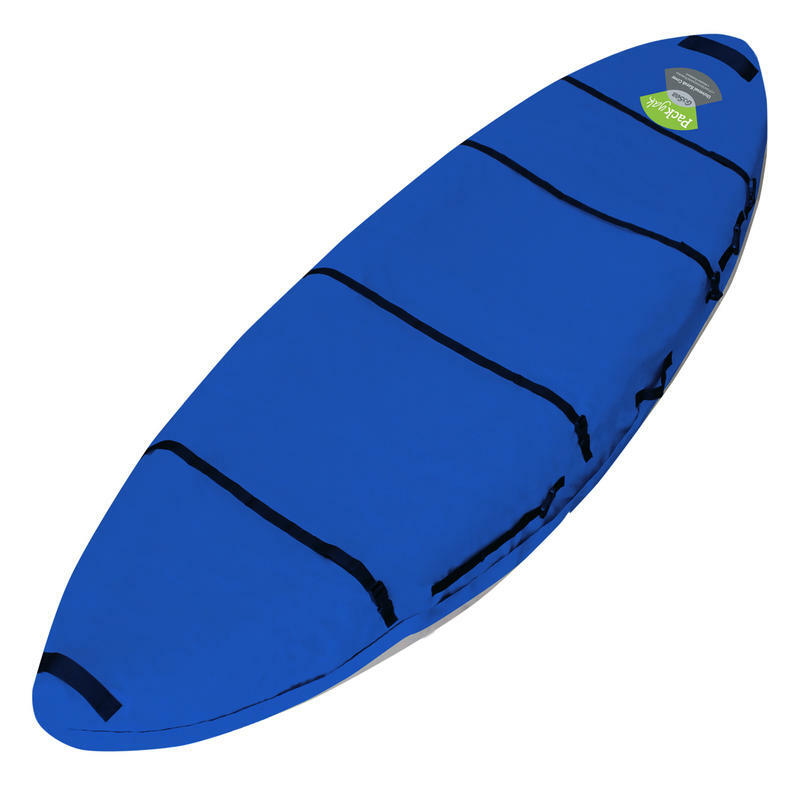 It has a large zip opening at the front that allows you to easily slide you kayak in and out. As the Packyak is a universal kayak cover designed to fit all single kayaks, it has 8 built-in compression straps, allowing you to reduce the length of the cover and to slim its width. The compression straps ensure the cover will fit your kayak well and reduce excess material whilst being transported or when in storage. Due to the properties of materials used in the manufacturing process of most roto-moulded kayaks (the majority of sit on top kayaks are made by this method), it is inevitable that after long exposures to wind, rain and harmful UV light the plastic will begin to degrade. Covering your kayak from the harsh natural elements will allow you to be able to store it outside during the winter months whilst increasing the longevity of your kayak.